Power-packed with 6 grams of protein, this AM boost made with cage-free egg whites is ready in just 80 seconds. Simply sandwich it within your favorite toasted bagel or English muffin along with whatever tickles your fancy. The result? Instant wholesome deliciousness. 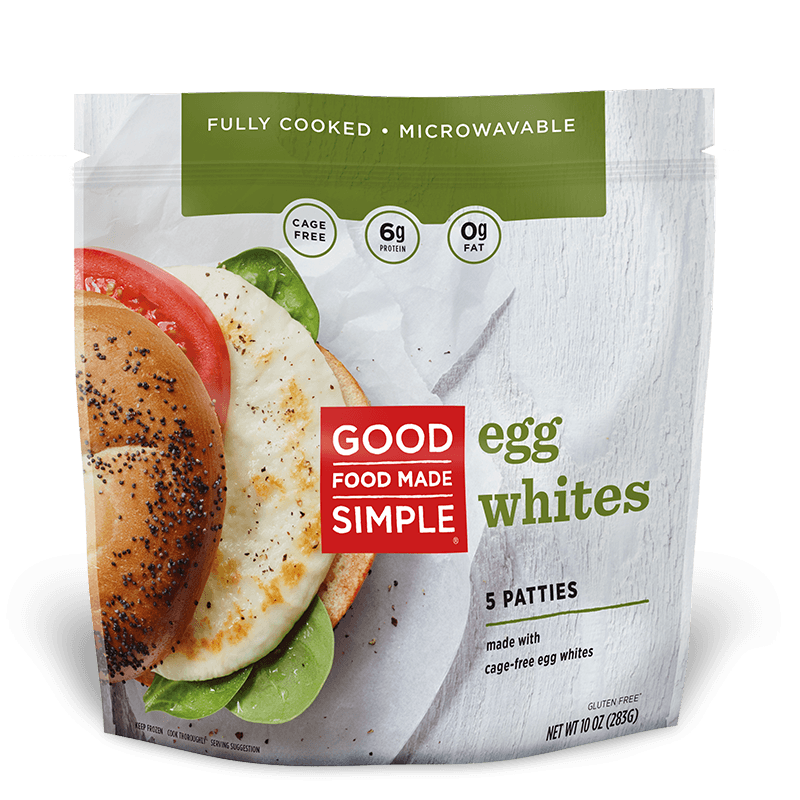 Cage free egg whites, whole milk, non-GMO corn starch, sea salt, pepper. Made with zero preservatives, artificial flavors or colors, we believe in letting nature’s flavors do their work. Add your favorite finishes to our central meal component for a gourmet dish ready in seconds. Toasted bagel? Salsa? Gouda Cheese? You name it. No separating yolks from whites. No cleanup. Simply pop in the microwave for a few seconds and voila! Gourmet on the go.